For other uses, see Dublin (disambiguation). There are four local authorities whose remit collectively encompasses the geographic area of the county and city of Dublin. These are Dublin City Council, South Dublin County Council, Dún Laoghaire-Rathdown County Council and Fingal County Council. Prior to the enactment of the Local Government (Dublin) Act 1993, the county was a unified whole even though it was administered by two local authorities - Dublin County Council and Dublin Corporation. Since the enactment of the Local Government Act 2001 in particular, the geographic area of the county has been divided between three entities at the level of "county" and a further entity at the level of "city". They rank equally as first level local administrative units of the NUTS 3 Dublin Region for Eurostat purposes. 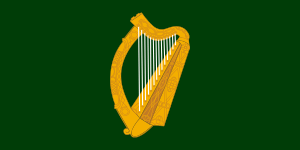 There are 34 LAU 1 entities in the Republic of Ireland. Each local authority is responsible for certain local services such as sanitation, planning and development, libraries, the collection of motor taxation, local roads and social housing. 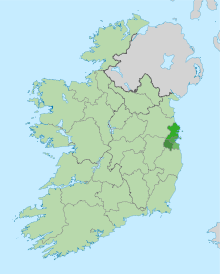 Dublin County Council (which did not include the county borough of Dublin) was abolished in 1994 and the area divided among the administrative counties of Dún Laoghaire–Rathdown, Fingal and South Dublin each with its county seat. To these areas may be added the area of Dublin city which collectively comprise the Dublin Region (Réigiúin Átha Cliath) and come under the remit of the Dublin Regional Authority. 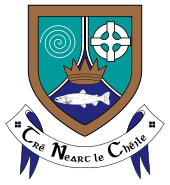 The area lost its administrative county status in 1994, with Section 9 Part 1(a) of the Local Government (Dublin) Act, 1993 stating that "the county shall cease to exist." In discussing the legislation to dissolve Dublin County Council, Avril Doyle TD said, "The Bill before us today effectively abolishes County Dublin, and as one born and bred in these parts of Ireland I find it rather strange that we in this House are abolishing County Dublin. I am not sure whether Dubliners realise that that is what we are about today, but in effect that is the case." The county is part of the Dublin constituency for the purposes of European elections. For elections to Dáil Éireann, the area of the county is currently (2016) divided into eleven constituencies: Dublin Bay North, Dublin Bay South, Dublin Central, Dublin Fingal, Dublin Mid-West, Dublin North-West, Dublin Rathdown, Dublin South-Central, Dublin South-West, Dublin West, and Dún Laoghaire. Together they return 44 deputies (TDs) to the Dáil. Despite the legal status of the Dublin Region, the term "County Dublin" is still in common usage. Many organisations and sporting teams continue to organise on a "County Dublin" or "Dublin Region" basis. The area formerly known as "County Dublin" is now defined in legislation solely as the "Dublin Region" under the Local Government Act, 1991 (Regional Authorities) (Establishment) Order, 1993, and this is the terminology officially used by the four Dublin administrative councils in press releases concerning the former county area. 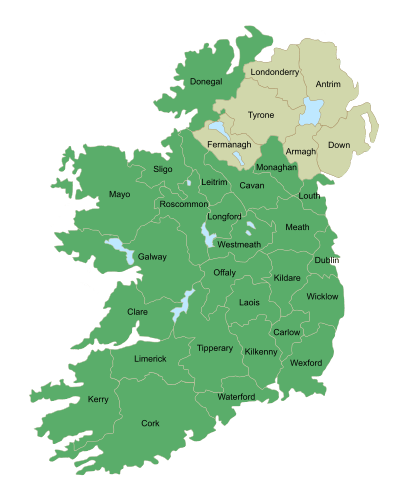 The term Greater Dublin Area, which might consist of some or all of the Dublin Region along with counties of Kildare, Meath and Wicklow, has no legal standing. The Dublin Region is a NUTS Level III region of Ireland. The region is one of eight regions of the Republic of Ireland for the purposes of Eurostat statistics. Its NUTS code is IE021. It is co-extensive with the old county. The regional capital is Dublin City which is also the national capital. The latest Ordnance Survey Ireland "Discovery Series" (Third Edition 2005) 1:50,000 map of the Dublin Region, Sheet 50, shows the boundaries of the city and three surrounding counties of the region. Extremities of the Dublin Region, in the north and south of the region, appear in other sheets of the series, 43 and 56 respectively. Local radio stations include 98FM, FM104, 103.2 Dublin City FM, Q102, SPIN 1038, Sunshine 106.8, TXFM, Raidió Na Life and Radio Nova. Local newspapers include The Echo, Northside People, Southside People and the Liffey Champion. Most of the area can receive the five main UK television channels on analogue television as well as the main Irish channels, along with Sky TV and Virgin Media Ireland cable television. The economy of County Dublin was identified as being the powerhouse behind the Celtic Tiger, a period of strong economic growth of the state. This resulted in the economy of the county expanding by almost 100% between the early 1990s and 2007. This growth resulted from incoming high-value industries, such as financial services and software manufacturing, as well as low-skilled retail and domestic services, which caused a shift away from older manufacturing-industry. This change saw high unemployment in the 1980s and early 1990s which resulted in damage to the capitals social structure. ↑ "Eastern and Midland Regional Assembly". Eastern & Midland Regional Assembly. Retrieved 2016-09-30. 1 2 "Local Government Act, 1991 (Regional Authorities) (Establishment) Order, 1993". Retrieved 31 July 2009. ↑ Local Government (Dublin) Act, 1993 Section 2 specifies: "the county", in relation to any time before the establishment day, means the administrative county of Dublin. ↑ "Oideachas Trí Mheán na Gaeilge in Éirinn sa Ghalltacht 2010-2011" (PDF) (in Irish). gaelscoileanna.ie. 2011. Retrieved 9 January 2012. ↑ "Census for post 1821 figures". ↑ "Histpop - The Online Historical Population Reports Website homepage". Retrieved 4 December 2010. 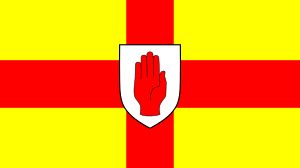 ↑ "Northern Ireland Census of Population". NISRA. Archived from the original on 17 February 2012. Retrieved 4 December 2010. Wikimedia Commons has media related to County Dublin. Wikivoyage has a travel guide for County Dublin.